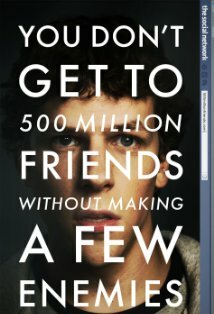 From the very beginning of the movie, we see the portrayal of Mark Zuckerberg as a manic individual who is obsessed with an ex-girlfriend who dumps him. Allegedly he builds Facebook (and his other internet ventures) in response to and to impress her. The reality is that Mark did these projects because he thought they would be fun projects, not to impress a fictional girl. The real Mark has been dating the same girl since before he ever created the Facebook. Sean Parker comes across as an individual of dubious morals in the movie, who is focused on revenge and winning back a girl who allegedly dumped him in high school. He claims to have invented Napster because a girl dumped him in high school. Unfortunately, Sean Palmer didn’t create Napster, Shawn Fanning developed it. Old media had a high barrier to entry. You needed a lot of expensive equipment and high cost processes to create a business. With computers, the professional quality equipment can be had at a fraction of the price. Anyone at home can start a web based business, create movies or create music using a home computer and a small investment for additional equipment, they can build anything they want. It’s something that previous generations can’t understand when they had to go through an archaic system that required years of training and working one’s way through the ranks before getting to the point where they could establish themselves. The most telling statement in The Social Network is when the president of Harvard University says “Harvard students don’t want to get jobs, they want to make jobs.” This isn’t just about Harvard students, but it’s a generational change. With the tools easily accessible, anyone can start a business and create something as huge as Facebook.